Good to know you are going back to where you started. YOU KNOW I AGREE ABOUT THERE BEING SO SO MUCH MORE TO LIFE. Brava, brave one! Can’t wait to read about your writing life, too! 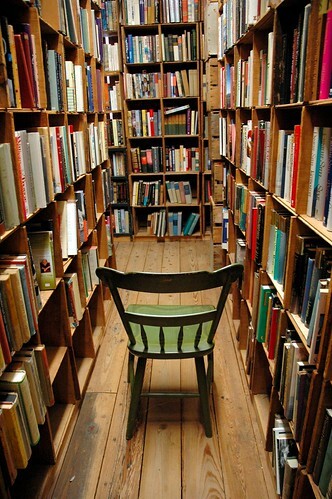 That photo is from our favorite east coast used bookstore; I knew it the minute I saw it. Real life can be pretty cool, too. that’s so interesting, I have no IDEA where it’s from! I just really liked that pic.